Freeze-drying has become one of the most important processes for the preservation of biological products. 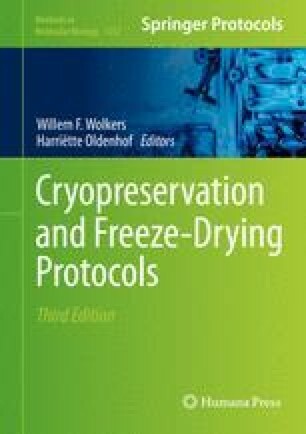 This chapter provides protocols for freeze-drying of proteins and discusses the importance of formulation, cycle development, and validation. Specific formulations for stabilization of proteins are presented as well as advice on common problems with freeze-drying of proteins.